Earlier this year several reports and articles published presented a very bleak picture of most South African municipalities. These illustrated that our municipalities are in shambles and in a disastrous financial position. No fewer than 55 municipalities have been identified as distressed or dysfunctional. These hard facts were shared by Zweli Mkhize, Minister of Cooperative Governance and Traditional Affairs, at both a national level and at the recent Africa Leadership Initiative (ALI) Good Society Dialogue Series. It goes without saying that sturdy leadership plays a key role in eradicating many societal challenges. 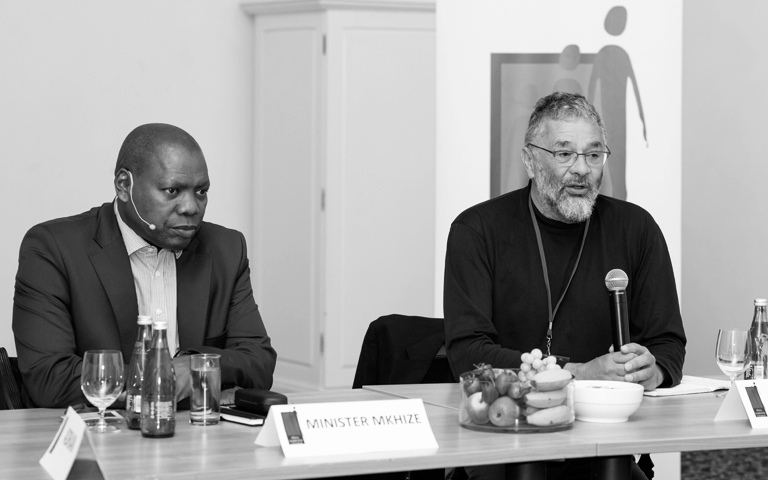 Hence ALI, in light of its strong view that Africa’s future lies in the investment and development of effective, values-based and enlightened African leaders, invited Minister Mkhize to the Good Society Dialogue Series. Here ALI created a platform for critical discussion and debate on the state of municipalities and the role of professionals. Mkhize pointed out that if we neglect municipalities, then the face of society will be neglected as a whole. With only 7% of South African municipalities are considered fully functional, this puts a huge amount of strain on local government structures to solve the influx of issues. Mkhize said it’s critical to start thinking long term now as these problems are only going to compound and get worse. With the Constitution of South Africa being highest law of the land, it has certainly created an expectation for everyone in the country. However, Mkhize believes that a contradiction arises when not everyone gets the same services. He highlighted that, at a government level, it’s been decided that South Africa cannot have different tiers of municipalities.“As long as there are resource constraints, many municipalities will never be able to perform at the same level of municipalities who are well resourced.This is what’s causing the problem of inequality and it is leading to major frustration by the masses,” he said. This is a vicious cycle as the former will not be able to employ the best skills needed to change the circumstances of those municipalities. Hence, we see, through this dire reality why some do not get the same services as others. An example he shared is that of Sandton, where you then have Alexandra Township next door. In this instance Alexandra needs new roads, new water pump sewerage systems, tap water systems and so on. So, instead of putting money towards maintaining the roads/potholes in Sandton Mkhize explained that it makes sense that they use it in the municipalities where it’s critically needed. “It’s important that we connect the dots and take these services to the best level of alignment,” he said. One of the most problematic crisis townships are facing is the issue of sewage treatment and systems (or lack thereof). Mkhize said its now an emergency as township residents face the consequences when sewage pipes flow back into houses due to dead ends. Residents frustrations are constantly making news headlines, proving just how angry they are. Mkhize made mention of the violent service delivery protests in Ennerdale and Westbury. He said that they had analysed these incidences and found that the number of these violent protests have increased since 2004. There were less than 60 in 2004, and today there are more than 175. The Minister said that if you look deeper than the level of violence, one will see the truth which is underlined by poverty, unemployment, inequality and a sense of mistrust. “We are dealing with mistrust, lack of communication, corruption etc. and this is what’s agitating people – this is when criminal activity takes over. However, these problems are not just problems of Ennerdale, Westbury and the Cape Flats. These permeate throughout this entire country and we need to fix them now,” he urged. Adding to this rich and critical GoodSociety Dialogue Series with the Minister, ALI Fellows engaged with him and debated on serious issues that needed to be brought to the fore in other to find impactful solutions. Some of the discussion points that ALI Fellows and the Minister engaged on included: The issue of political instability and the impact it has on the country, the sense that there aren’t (proper) consequences for the ‘corrupt’, an evident case of political delinquency (how far and wide is the constitution redressing the inequalities at all levels), disheartenment seeing ‘own goals’ being scored by leadership on the ground (politics seems to win over competence to deliver), questions over the quality of leadership in the country and structural inequalities – politics and bureaucracy seems to be getting in the way of what needs to be done. ALI Fellows shared concerns stemming from a lack of succession plan from leaders and the growing gaps in terms of what South Africans expect and what they get. Another concern shared was the so-called recycling of Ministers which has dire consequences on the country as a whole. It was shared that if the ruling party addresses succession and stability of Ministers, then many of the current issues can be resolved. Another point of contention that ALI Fellows brought up was how far and wide the constitution is delivering in terms of governance, infrastructure, financial fairness etc, in redressing past and existing inequalities. ALI Fellows who work in the private sector explained that despite this sector trying to get involved at a local level, and beyond, these efforts are not quite met in the middle by ruling leadership. It was pointed out that instead of formidable partnerships being formed between private sector and leadership, rather, regimes are being built, followed by changes and disruption of continuity. The result is that politics wins over competence and a willingness to deliver. Mkhize believes that the nature of the politics is always going to be very difficult to work out. “Because in order to maintain a degree of cohesiveness, we have to rely on a large degree of consensus,” he pointed out. Mkhize also doesn’t quite agree with the notion of “recycling” Ministers. He said there will always be a difference of opinion in instances such as this one. He’s not surprised by disconcerted views but assures one that they are doing their best to fix a system that’s evolving in terms of its own traditions, cultures, levels of tolerance, sensitivity and public opinion. The Minister had, in his address, shared a Zulu proverb, “akundlulwa indlu”, where it states that you cannot walk by someone who is building a house – you must go in and help them. As beautiful as this analogy may be on paper and sound, some ALI fellows questioned it, pointing out that it is incredibly hard to help those building “houses” when there are others who are constantly stealing “bricks” – in light of the evident corruption in government. Here ALI Fellows questioned why there has not been a single arrest for so-called leaders who are not compliant with the law, and who have been caught red-handed for corruption. ALI Fellows pointed out that is not creating an environment that enables citizens to want to buy a bag of “cement” and lend a hand in anyway at all. Addressing these concerns of ALI Fellows and South Africans alike whereby “bricks” are being stolen, making the spirit of Ubuntu dwindle and the willingness to step in far less, Mkhize agreed that is a conundrum indeed. He believes the point of departure here would be to have mechanisms that are quick enough to detect those that steal the “bricks” and a system that is strong enough to act on the perpetrators as soon as they commit crimes. He is confident that systems will slowly catch up and even if we’re not seeing action being taken up now, it will happen he assured. “The moral of this story is that those who lend a hand and give “cement” should not be discouraged by those who are stealing “bricks”, he said. ALI’s mission is not an easy one, but through its programme, have been able to empower a number of leaders who are now shaping the continent in a positive light. 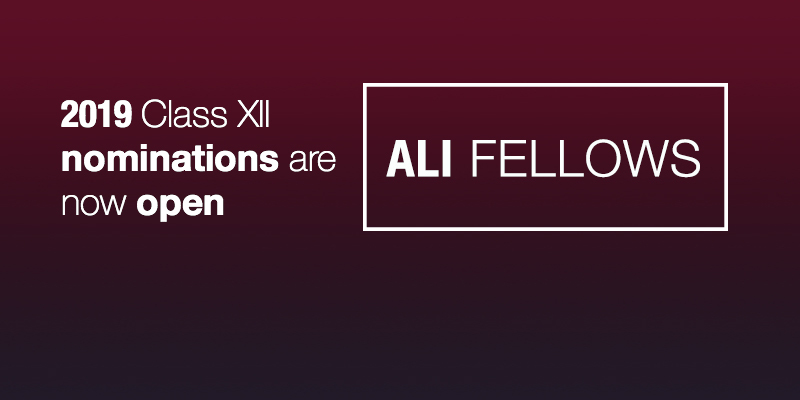 ALI Fellows believe in effecting change and cleaning up the country and continent. One such way forward, in light of this discussion, was a proposal by ALI Fellows that they gave to the Minister for consideration. The proposal entails tackling sewage and water treatment issues in selected municipalities, whilst dually giving engineering students practical experience in order to gain work skills. This proposal is currently in the discussion phase.